Celebrating the year that was, in 2018 Banyan Tree Group were awarded 241 global award for their branding and exceptional experiences as a leading hospitality leader. Beijing News The Best Hotel Brand 2017. The wide spread achievement across Banyan Tree’s portfolio recognises the uniqueness and spirit of adventure found at each location. Banyan Tree began building retreats of rest and rejuvenation, championing the ethos of “Embracing the Environment, Empowering People”. Their approach to sustainability means each building is built in harmony with nature, contributing to the growth and development of the community. As a pioneer in sustainability, the Group was namedShanghai Morning Post Tourism Awards 2017 Best Social Responsibility Brand. Offering a deep sense of place, across all locations, Banyan Tree highlights and infuses the uniqueness of the locale through design and build, guests’ and associates’ experiences to sustainability impacts. 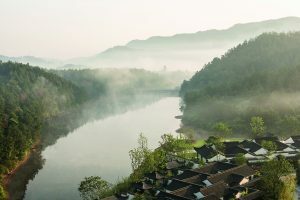 Inspired by the romance of travel, Banyan Tree will continue to increase its global presence and foray into unique exotic destinations across the Europe, Asia-Pacific, Oceania and other regions. The 2018 TTG Travel Hall of Fame – Best Spa Operator for the 4th year since induction. 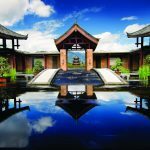 13th China Hotel Starlight Awards 2017Best Spa Operator of China for the 10th consecutive year. Shanghai Morning Post Tourism Awards 2017 Best Spa Brand for the 6th consecutive year. “Sustainability has been ingrained as part of our corporate DNA from the very beginning and it is one of the key areas that we are truly proud of. Celebrating our Group’s 25th Anniversary in 2019, these award recognitions reinforce our passion and commitment to grow our brands globally. We aspire to journey our guests to more exciting destinations around the world and foster our ongoing commitment towards driving sustainability for a better world,” added Ms Ho. With 26 successful signings of new hotel agreements for its four brands during 2018 there are now 48 hotels in operation with 7 new hotels slated to open in 2019.